ACM (Aircraft Cabin Modification) is the latest company to develop a seatbelt featuring sensors that alerts crew whether passengers have fastened their belts. Any uncooperative passengers are exposed to crew via an app, which saves crew members having to walk up and down the aisles before take-off and landing to check whether passengers have fastened their seatbelts (as well as during turbulence, when the crew should be safely belted in). Any uncooperative passengers are highlighted on an app, so crew can directly request them to comply with safety regulations. As well as enhancing passenger and crew safety, the technology also enables airlines to prove whether the seatbelt of any passenger injured during turbulence was fastened or not, which helps in the defense of possible compensation claims. According to ACM, despite the added technology integrated into the Smart Belt, it does not weight more than standard seatbelts used today. Omniseat, an adjustable seat pan concept, is being shown by Aeroworks. According to the company, it will increase comfort levels in the hip to knee space for all sizes of passenger in economy class or premium economy class, from 5th percentile Asian females to 95th percentile western males. On the prototype being demonstrated, the seat pan pivots below the lumbar region of the passenger, which enables the front section of the seat pan to be raised or lowered. This simple system is lightweight and does not require a great deal of force to be deployed, and it can be complemented with an extendable bull nose for extending or contracting the seat. 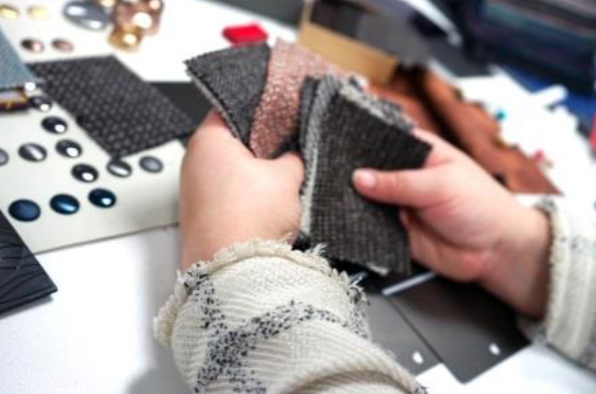 Following a popular trend among seat manufacturers, Mirus has created an in-house industrial design team. Named RWorks, the team will work in parallel with its Core team, which works on primary engineering programs). RWorks will create next-generation concepts and explore the latest material technologies, with its first project being the Vision 2030 concept seat, a 16G-proven design that draws on the company’s Formula 1 engineering expertise, with only eight parts and a projected weight of just 3.8kg (8.3 lb) per pax. In other Mirus news, the company has appointed KID-Systeme as single-source USB supplier. The company’s SKYpower in-seat USB power system will be fitted to the Hawk seat as part of Mirus’s launch contract with AirAsia, a contract that covers 300 aircraft joining the AirAsia fleet over the next decade. The USB ports will be integrated into the armrests, which have been developed in conjunction with IFPL, a peripherals specialist. 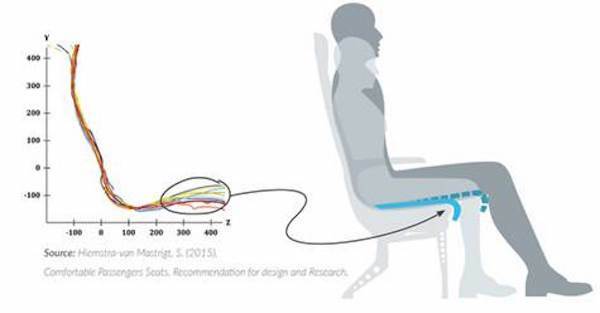 Aviation technology firm FliteTrak is showing a technology that measures and maps pressure points on airline seat cushions, generating key data which an AI learning platform can interpret, to create visual pressure mapping for seat design based on live passenger use. 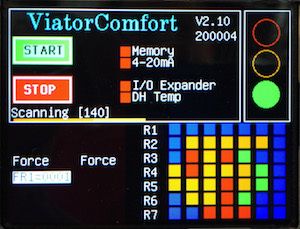 The system, ViatorComfortsystem, creates useful usage data for optimizing the comfort of seat designs, and can also be used by airlines to monitor seats and cushions for signs of wear and tear – whether through tell-tale passenger movement or simply the hours the seat has been used, and it can also enable crew to access data to monitor individual seats in real time. digEcor has announced that its in-seat power solution system for USB power is now compatible with HAECO’s Vector seat platform, and can be pre-integrated with the seat or retrofitted using a seat modification installation kit. 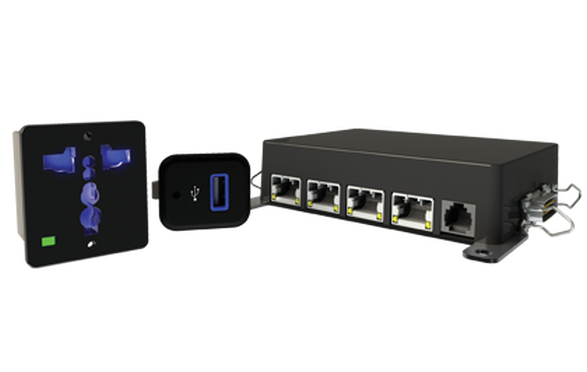 The system comprises two spar-mounted boxes (housing either single or double USB jacks) with a USB seat power unit powering both boxes. According to digEcor CEO David Withers, the system can be installed in a cabin overnight. To prove how quickly the system can be installed, registered airline employees can visit digEcor at the Expo (Stand 4B30, Hall B4 Lower) and try their hand at installing the system on its Vector seat model. The fastest fitter during the event wins a single-aisle shipset of USB power, and runners-up are entered into a draw to win a second shipset. Visitors who aren’t from airlines can also try their hand, with fun prizes on offer. In other HAECO Cabin Solutions news, the company has received Technical Standard Orders (TSO)-C127b authorization from the FAA for its Vector Premium seat platform for all seat configurations on Boeing 737 and Airbus A320 aircraft. Obtaining this authorization will streamline the certification process for the seat, reducing lead times. Astronics Advanced Electronic Systems (AES) is expanding its EmPower range of in-seat power technologies with a USB Type-C in-seat power system. The system is a response to the emerging standard of USB Type-C charging for personal electronic devices and is comprised of an in-seat power system that can supply four aircraft seats with up to 60W of power through USB Type-C outlets. The new outlets are available in a standalone Type-C configuration or in a dual USB Type-C and USB Type-A configuration. Astronics Corporation subsidiary, Astronics Advanced Electronic Systems (AES), introduced a wireless charging module that enables the latest personal electronic devices (PEDs) to be charged wirelessly at up to 15W. The module can be fitted in a seat – on a cocktail table, for example, or in other cabin furniture or galleys, and while some charging surfaces can be little bigger then the device, the Astronics AES module has a wide placement radius. “Over 70 models of smartphones are now enabled with Qi wireless charging. 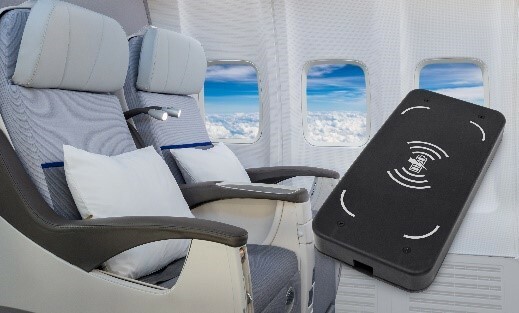 As airline passengers carry these devices on board, wireless charging will be an expected amenity”, stated Mike Hettich, VP of cabin electronics at Astronics AES.